Hair loss problems give rise to a whammy situation for most of us. We often feel under-estimated on account of hair loss. Today, stress and pollution are the main reasons which give rise to hair loss. Both stress and pollution are uncontrollable at our level. But to correct and prevent hair loss lies in our hand. Since decades, an enormous amount of progress is achieved in the treatment of hair problems. Talking about Mumbai, we have many clinics which guarantee 100% hair restoration. We have plenty of clinics assuring quality hair restoration in Mumbai with minimal or no side effects. But most of these attempts fail. The latest and the most widely appropriate hair restoration therapy prevailing in Mumbai is the administration of QR678 injections. What is the QR678 treatment? QR678 treatment involves the use of QR678 injections as one of the methods to release the sufferers from the plight of hair loss problems. When you analyse the whole scenario behind the QR678 treatment, it is clear that the treatment is a non-surgical procedure meant for hair regrowth. It represents the technologically advanced method for hair restoration, Mumbai. What is the mechanism of action of the QR678 injections? The instrumental interplay that occurs between the epithelial cells and the mesenchymal cells is responsible for the regulation of hair follicles. The hair follicles are thus subjected to undergo the hair growth cycles. These hair growth cycles are characterised by three stages, the cell growth phase, the transitional phase and finally the resting phase of the follicular growth. The hair follicles contain the papillary mesenchyme. The papillary mesenchyme initiates the release of growth factors. These growth factors resemble the inductive signals and in turn, stimulate the growth cycle of the follicular epithelium. Thus the epithelial cells undergo activation under the stimulation of the inductive signals. The activated epithelial cells proliferate into the fully developed hair follicles. What are the steps involved in the QR678 hair restoration, Mumbai? The entire procedure of QR678 administration is non-surgical. It involves the administration of a solution containing hair growth factors. The hair growth solution is injected into the scalp of the individual. The volume of the injectable is maintained at around 1 ml. This injected hair growth solution administers the essential hair growth factors to the targeted layers of the hair tissues. In case of the areas affected by alopecia and hair loss, the injections are administered superficially. 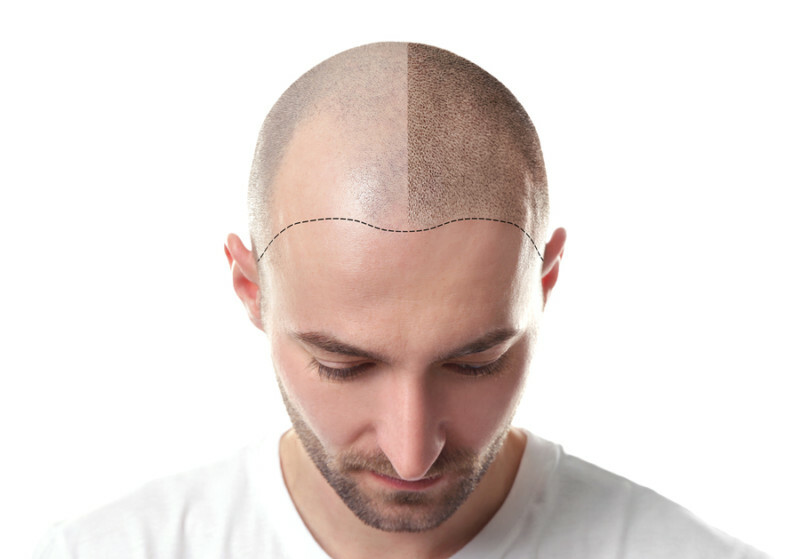 Where to find the best hair restoration, Mumbai? The Esthetic Clinics is the prominent name in the field of skin and hair treatments. They offer QR678 injection-based hair restoration, Mumbai at a very affordable cost. Their past successful processes for hair restoration, Mumbai gratifies their dedication towards their patients. Visit the Esthetic Clinic once for further details.